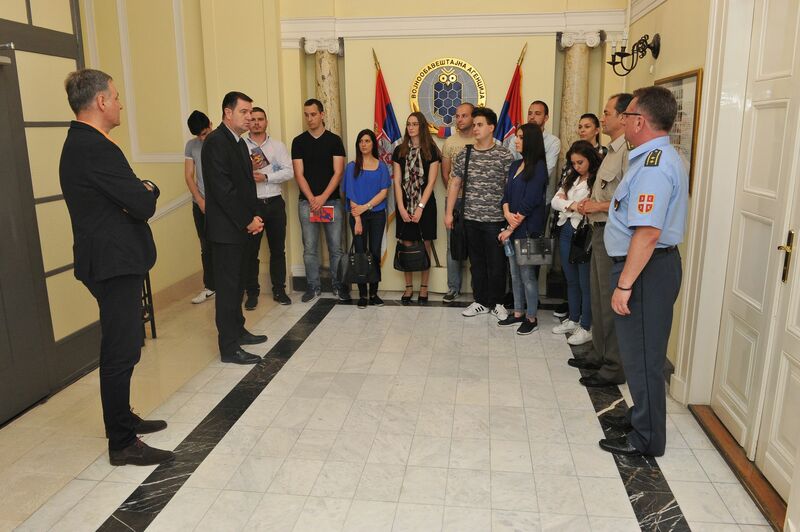 The students of the fourth year of the Faculty of Security Studies of the Belgrade University with their professor Zoran Jeftic, PhD, visited today within their professional practice the Military Intelligence Agency of the Ministry of De Republic of Serbia. 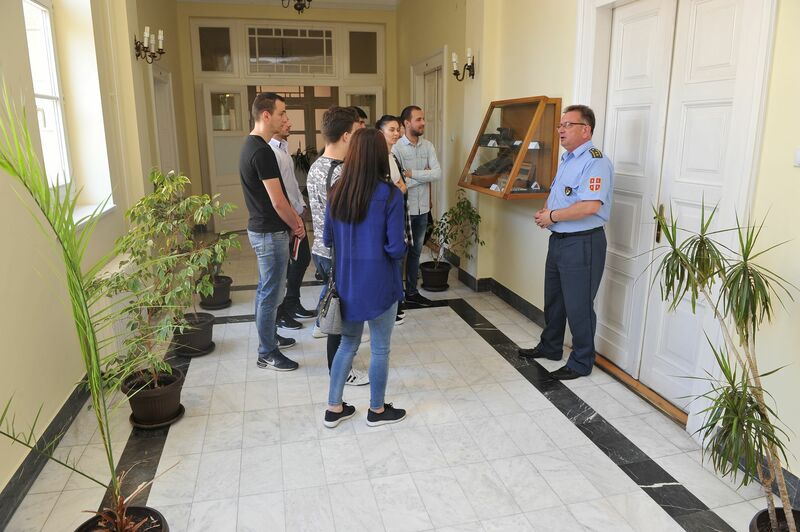 At the beginning, the students of the Faculty of Security Studies have visited the permanent exhibition dedicated to the history of the military intelligence service in Serbia and were introduced with the rich tradition of intelligence activity in Serbia. 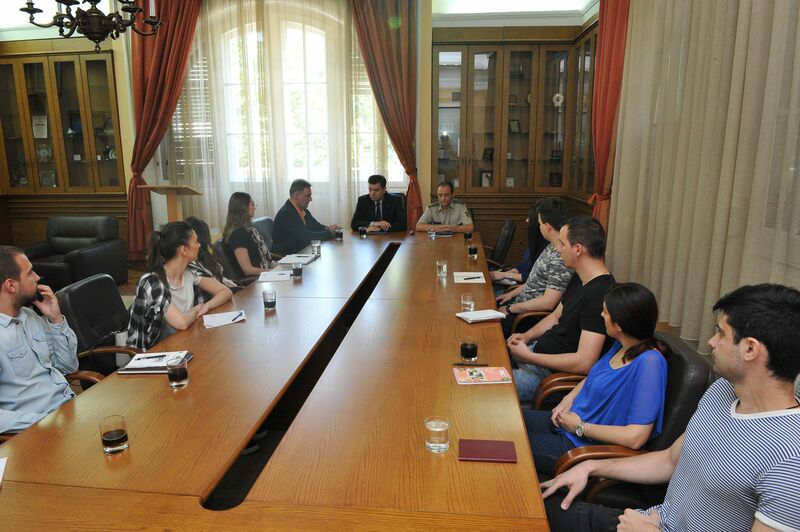 Colonel Dejan Pajic presented the students the place and role of the Military Intelligence Agency in the defence system and security –intelligence system of the Republic of Serbia as well as its missions and legal framework.